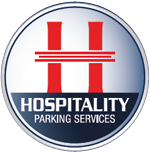 Hospitality Parking Services was founded by Chris Black and James Maclean. Chris and James are hospitality veterans with over 50 years of combined experience. Throughout the years, their career paths have crossed continuously. Chris took the road of operations by successfully managing some of the top full-service hotels in the country. These hotels include Walt Disney World Dolphin, Sheraton Chicago Hotel & Towers, Sheraton Birmingham Hotel, Beau Rivage Resort & Casino, W New Orleans, and Windsor Court Hotel. James Maclean, CPA, a 23 year hospitality veteran, holds a degree in Hotel Management from the University of Nevada, Las Vegas and a degree in Accounting from the University of North Florida. Jim has worked with Coopers and Lybrand, Hyatt Hotels and Resorts, Interstate Hotels, Nobel House Hotels and Resorts, and Wyndham International, where he served as General Manager, Rooms Director, Financial Director and Regional Financial Director in the following locations: New Orleans, Key West, Tampa, Jacksonville, Miami, New York, Las Vegas, Alabama, the Caribbean, and Moscow Russia. Chris and James’ passion for the hospitality industry, united with their professional disciplines, created a perfect foundation to start their own business venture. With the goal to increase service levels, revenues and productivity, Hospitality Parking Services was created.